When it comes to installation, one person can literally install this cover in less than 1 minute with very little effort. 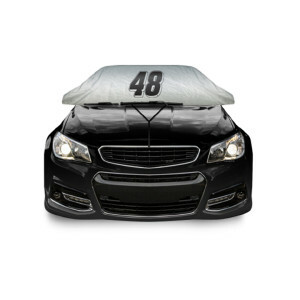 Unlike traditional car covers, the Top Half Car Cover is lightweight easy to use and most importantly, IT WORKS! 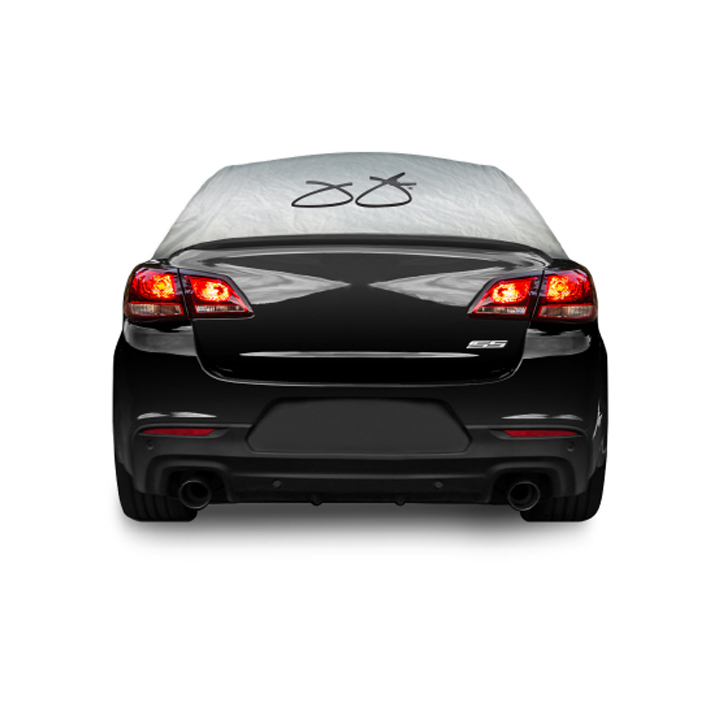 The Top Half Car Cover is a unique cover that fits around only the top half of the car. It is made from a high grade 210 denier polyester material that is UV resistant, heat reflective and is made for ALL WEATHER CONDITIONS! It'll keep your car's interior cool in the summer which means no more burning your thighs on hot leather! During rainy months, watch water bead up and roll right off the cover making sure the cabin stays nice and dry. Finally, in winter it prevents ice and snow from accumulating on the glass areas of the car's cabin. This means no more scraping your windshield! Just remove the cover and go. Also included is a sewn in storage bag for when not in use. ** You may cut small slits above the hem for side view mirrors if you find it helpful. This can help to better secure the cover during high winds. One Year Warranty A flat shipping fee of $10.00 will be added as a line item in your shopping cart and this collectible will not be factored into the shipping charges for other items contained in your order. This product is available only to addresses in the U.S. Please allow up to two weeks for product to ship. Step 1. 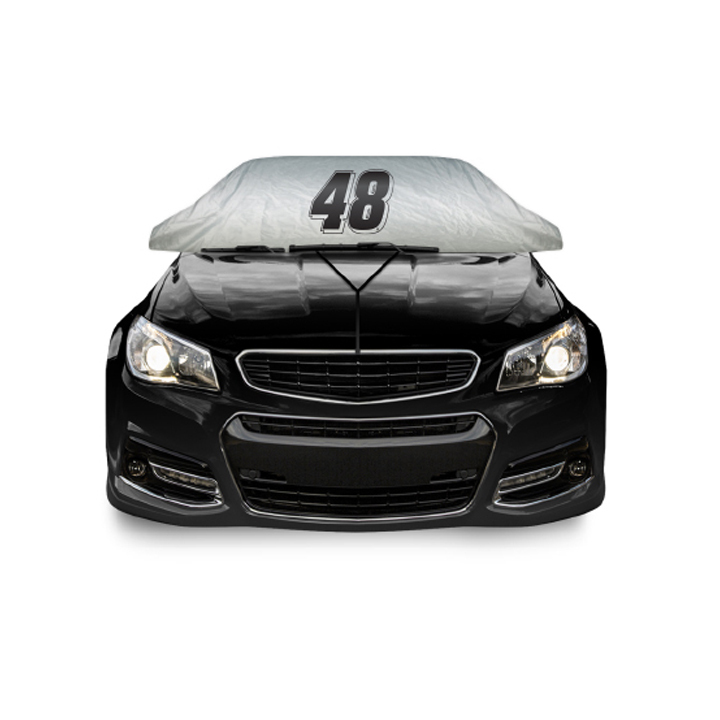 Take a tape measure and place it at the base of the front windshield closest you can get to the middle. Step 2. 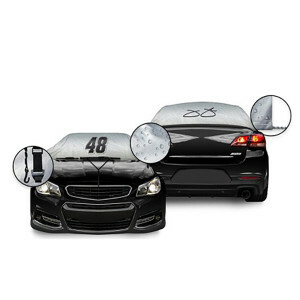 Run the tape measure over the roof of the car to the base of the rear windshield closest you can get to the middle. Step 3. Take the tape measure for the base of the driver’s side window. Step 4. Run the tape measure over the roof of the car and down to the base of the passenger side window.